Презентация на тему: "SCOTLAND составитель : Силиванова Н. П., учитель английского языка МБОУ СОШ 32 г. Белово.". Скачать бесплатно и без регистрации. 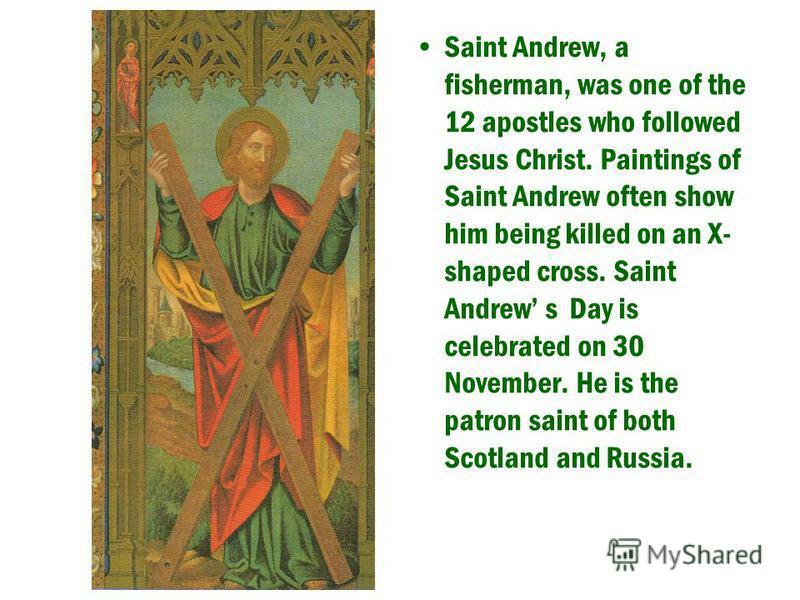 3 Saint Andrew, a fisherman, was one of the 12 apostles who followed Jesus Christ. Paintings of Saint Andrew often show him being killed on an X- shaped cross. Saint Andrew s Day is celebrated on 30 November. He is the patron saint of both Scotland and Russia. 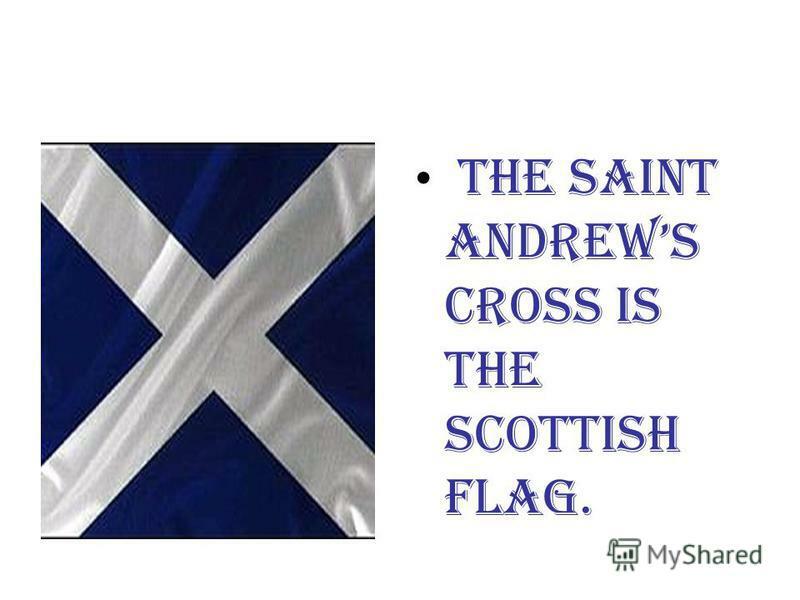 4 The Saint Andrews cross is the Scottish flag. 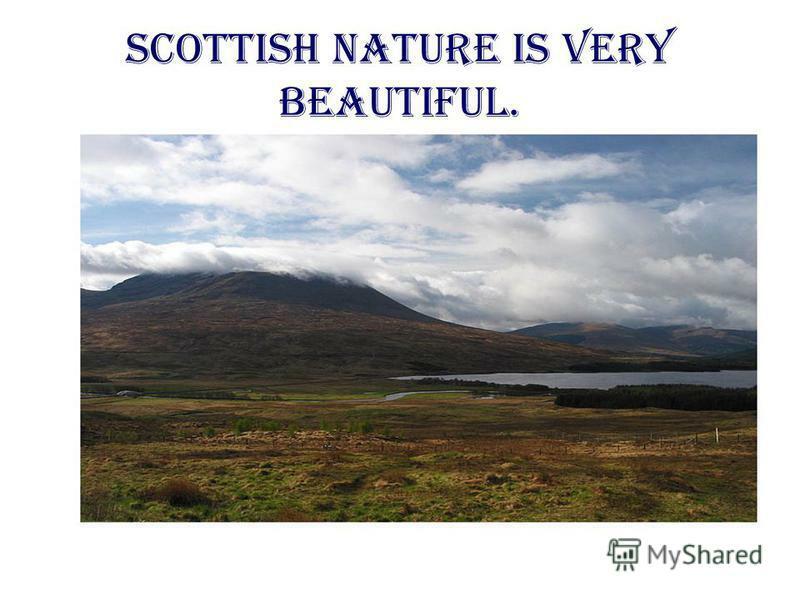 6 The nature of Scotland is beautiful. 7 The scenery of Scotland is very attractive. 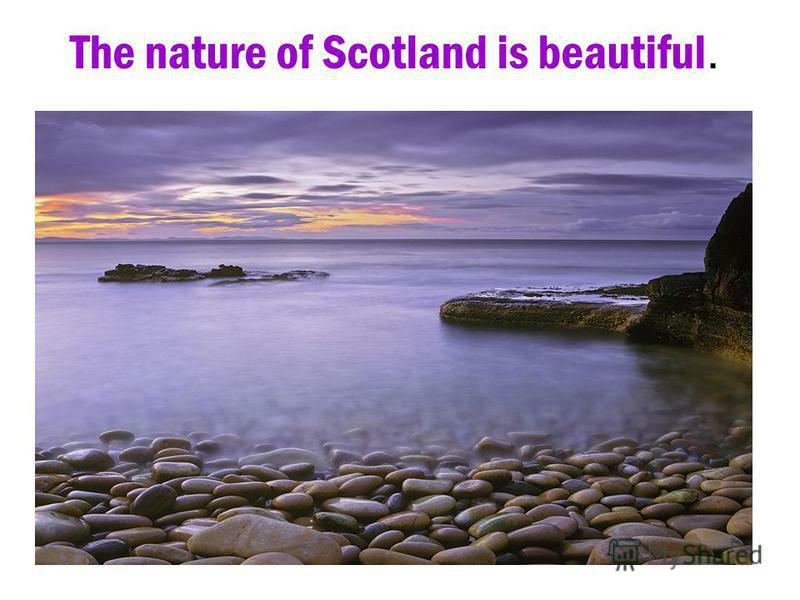 9 Scottish nature is very beautiful. 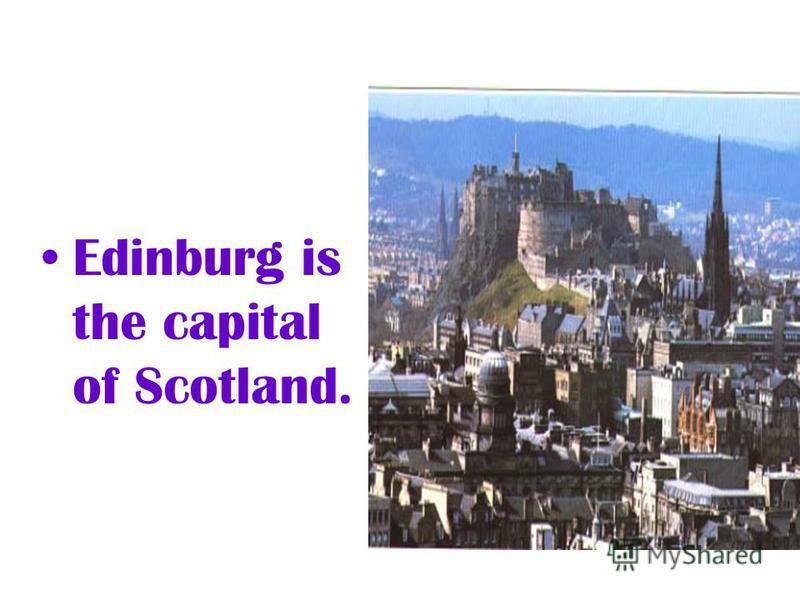 11 Edinburg is the capital of Scotland. 12 The Castle attracts a lot of tourists. 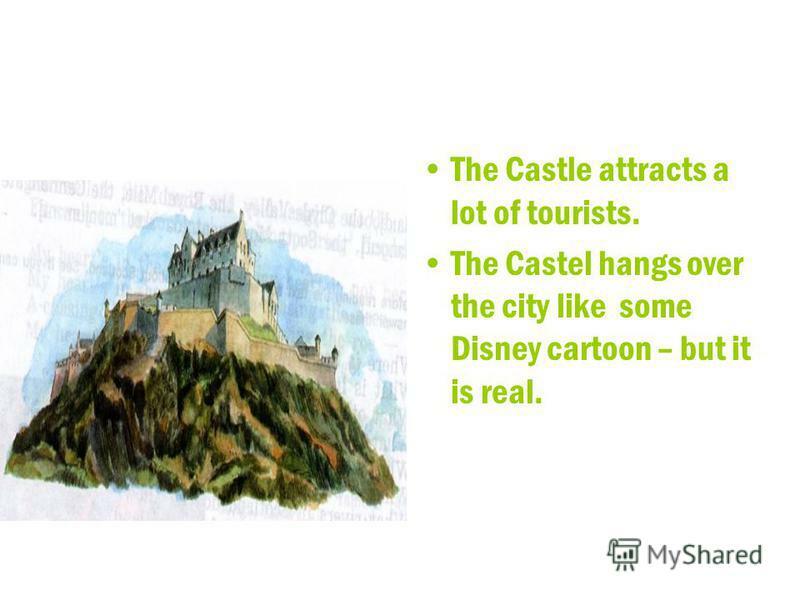 The Castel hangs over the city like some Disney cartoon – but it is real. 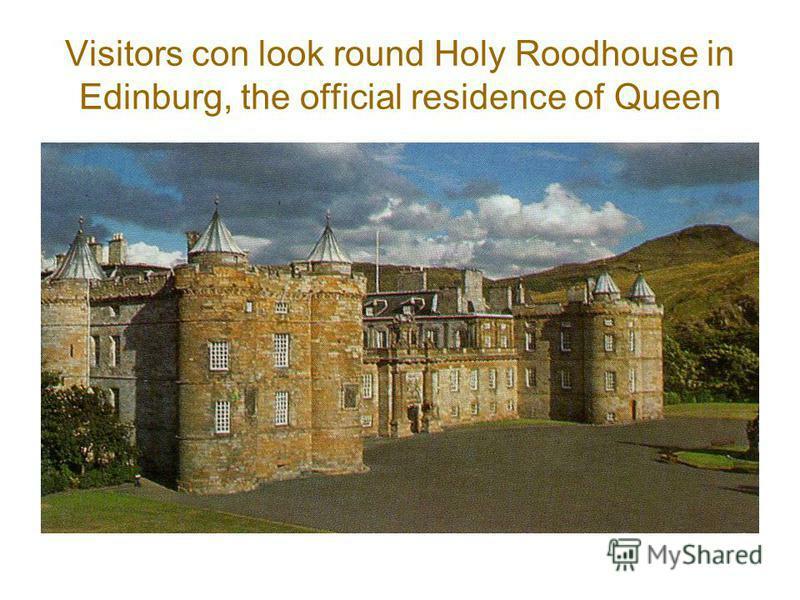 14 The Holyrood Palace with Holyrood Gate looks wonderful and attracts a lot of tourists. 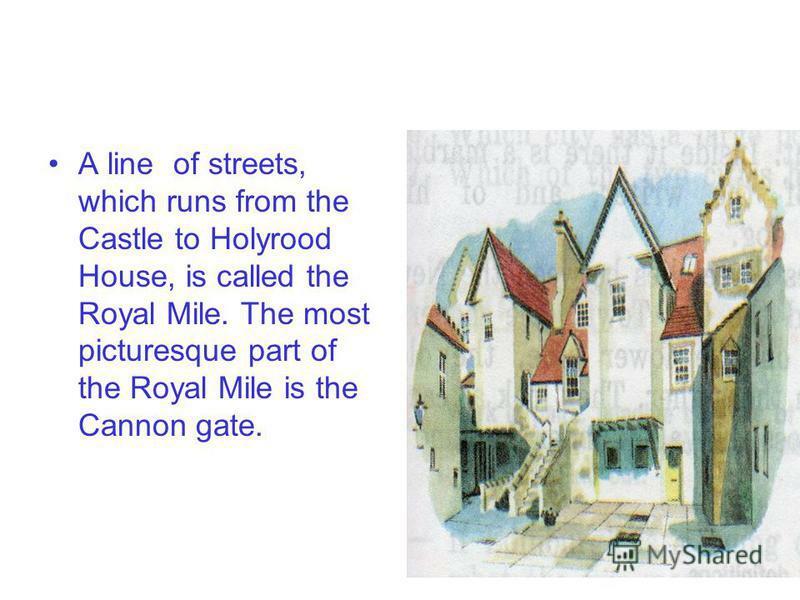 15 A line of streets, which runs from the Castle to Holyrood House, is called the Royal Mile. The most picturesque part of the Royal Mile is the Cannon gate. 16 On this pictures you can see Scottish national clothes. 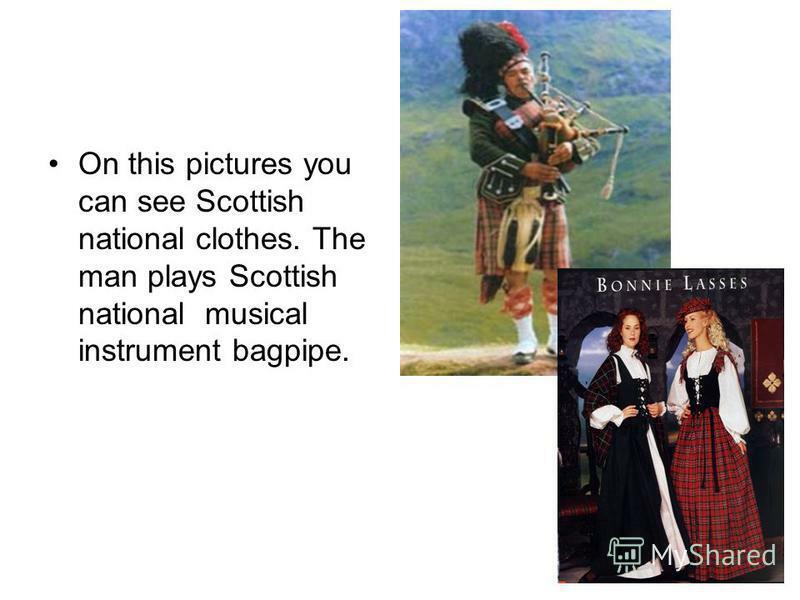 The man plays Scottish national musical instrument bagpipe. 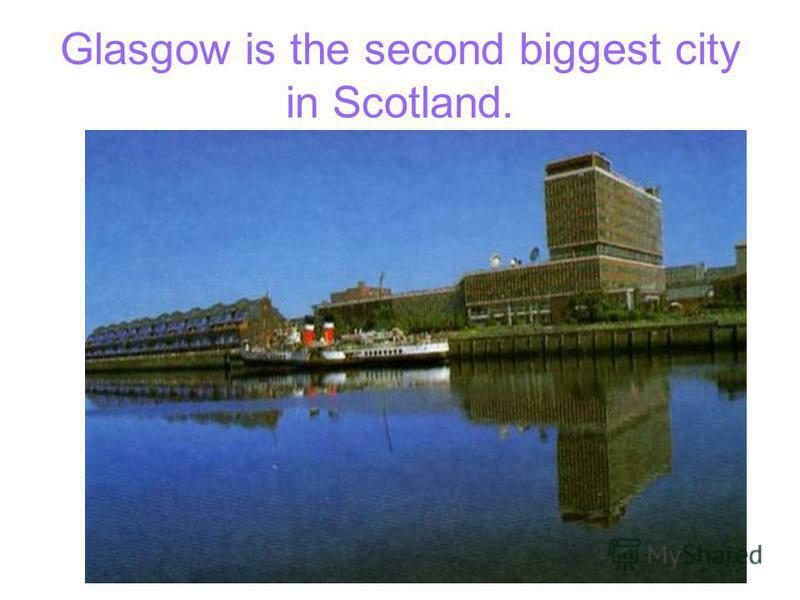 17 Glasgow is the second biggest city in Scotland. 18 A lot of historical buildings, ancient castles and wonderful churches attract a lot of tourists. 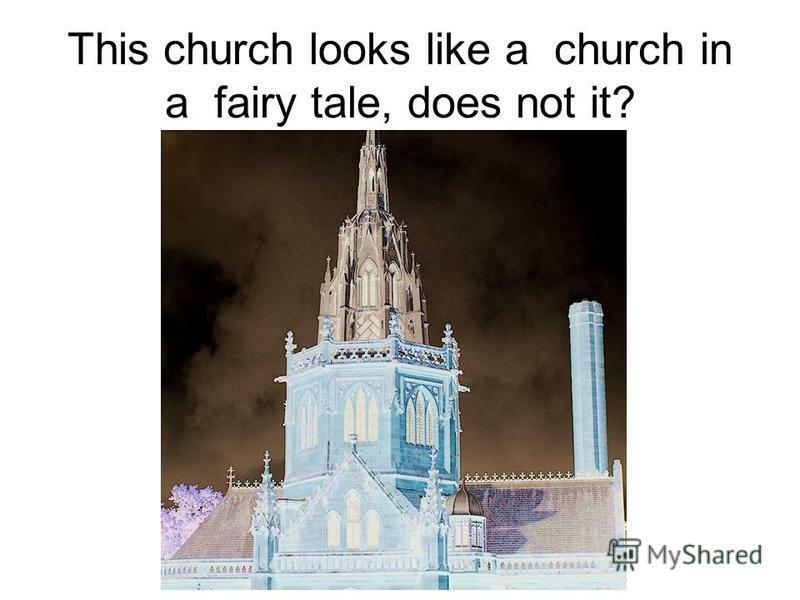 19 This church looks like a church in a fairy tale, does not it? 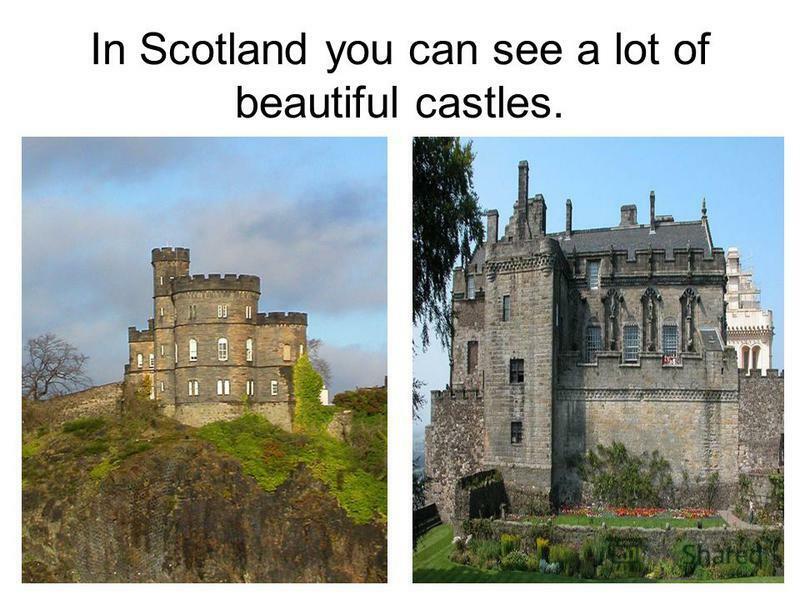 20 In Scotland you can see a lot of beautiful castles. 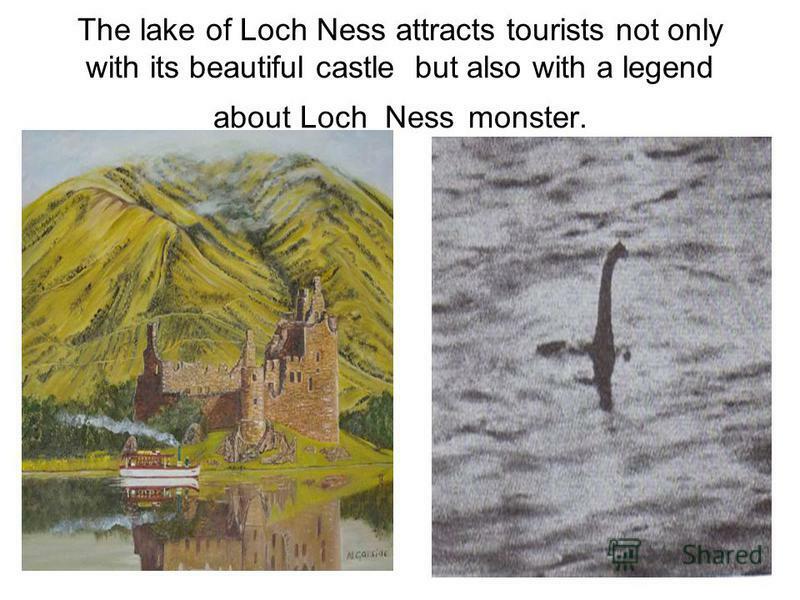 21 The lake of Loch Ness attracts tourists not only with its beautiful castle but also with a legend about Loch Ness monster. Scotland the beautiful He who has not seen Scotland does not really know Great Britain. Scotland Scottish flag Scottish symbol is a thistle. Scotland Scotland is marked on the map green.. The Map of Scotland. 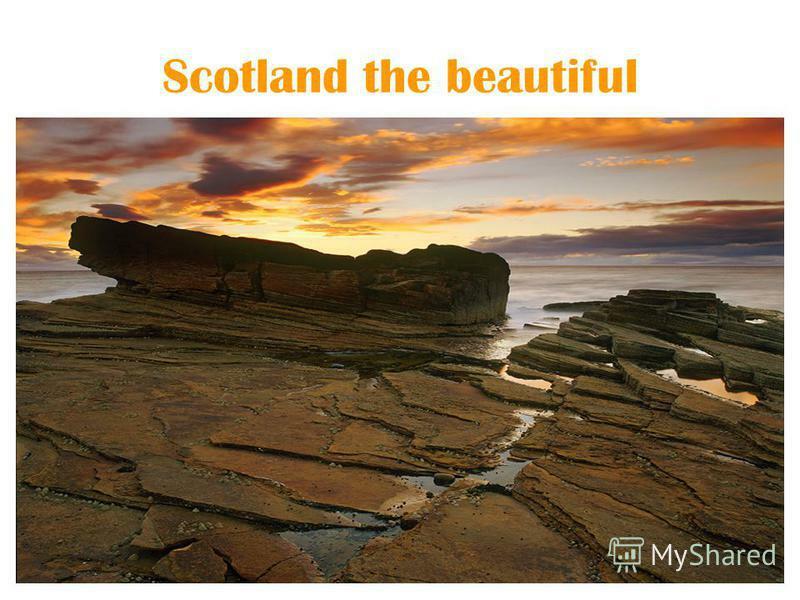 Scotland the Beautiful Anna Gribova Grade 6 Б School #1 Alexandrov Teacher: E.R. Sibirina. 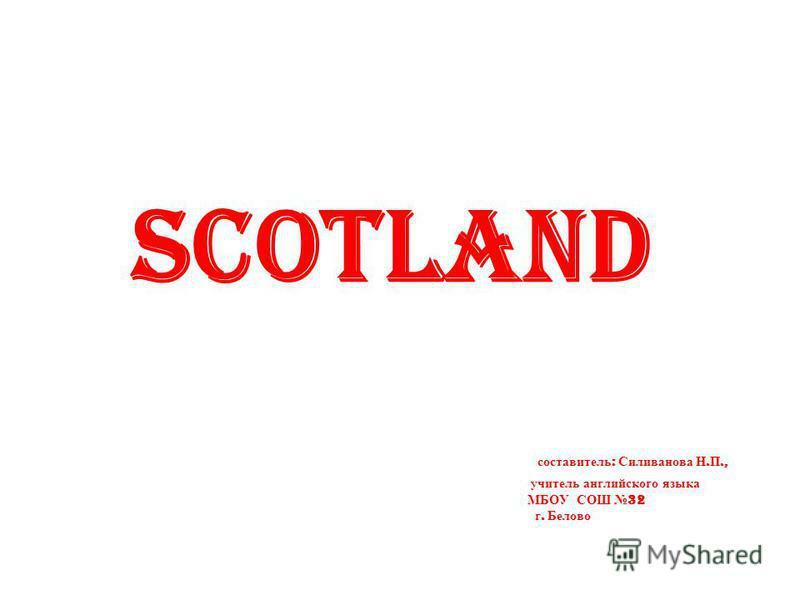 Scotland is an amazing Land Pupil :Sakaeva Alina 7 «В» form School 2 Teacher:Stepanova L.M. SCOTLAND TOWNS and COUNTRYSIDE Scotland is a part of the UK. Scotland Автор: Беликова Наталия Петровна, город Липецк, МОУ гимназия 1. Scotland The Map of Scotland A Few Facts About Scotland Scotland is a part of the United Kingdom. The capital of Scotland is Edinburgh. The language spoken. Edinburgh The CastleThe Cannongate Holyrood House The Edinburgh military tattoo The monument to the dog Bobby The monument to Sir Walter Scott Princes. WALES составитель: учитель английского языка МБОУ СОШ 32 г. Белово, Силиванова Н.П. Interesting places of Edinburgh Edinburgh One of the oldest and most beautiful cities in the world. 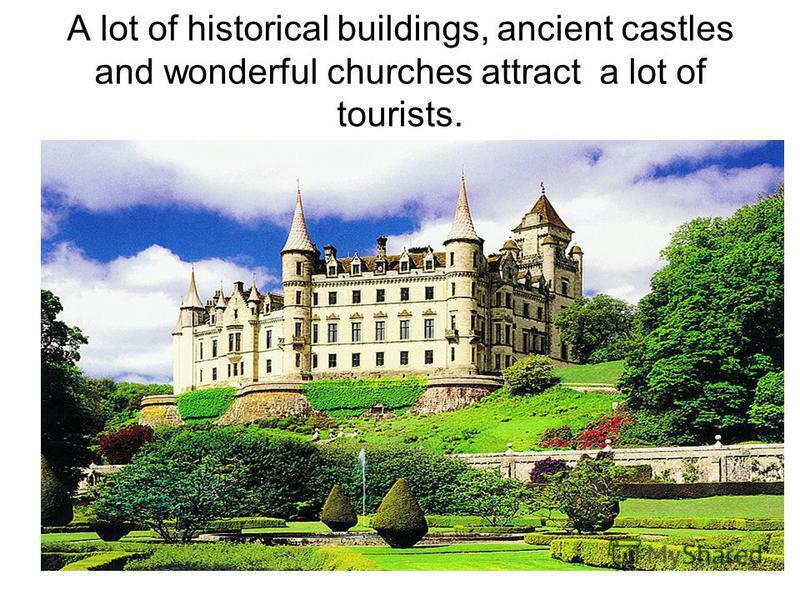 It has a lot of interesting places to see. МОУ Удельнинская гимназия СОВРЕМЕННЫЕ ТЕХНОЛОГИИ ПРИ ОБУЧЕНИИ ЧТЕНИЮ МУЛЬТИМЕДИЙНАЯ ПРЕЗЕНТАЦИЯ по теме « Шотландия. Эдинбург » Автор: учитель английского. The symbols of Scotland Подготовили: Антонова Александра Буланенко Арина Разгульная Елизавета. London. London is the capital of Great Britain, its political, economic and cultural centre. Ekaterina Rulko. 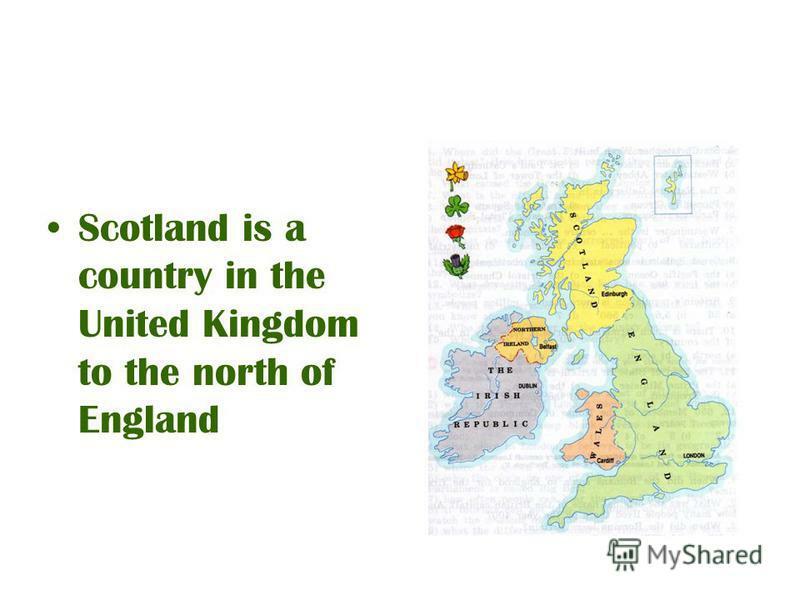 Scotland is a country in the United Kingdom to the north of England. 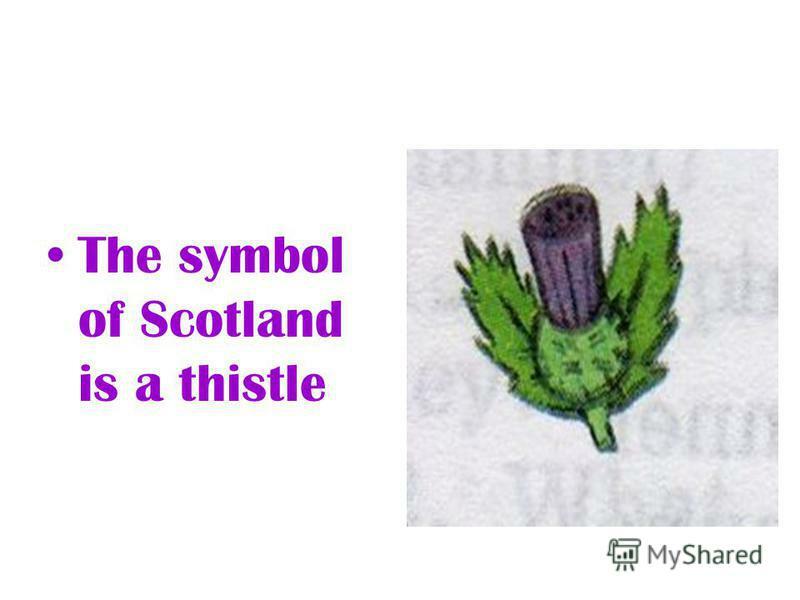 Its symbol is a thistle, its patron saint is St. Andrew. The country. Scotland Scotland – is a part of great Britain. Its capital is Edinburgh; its emblem is a thistle. 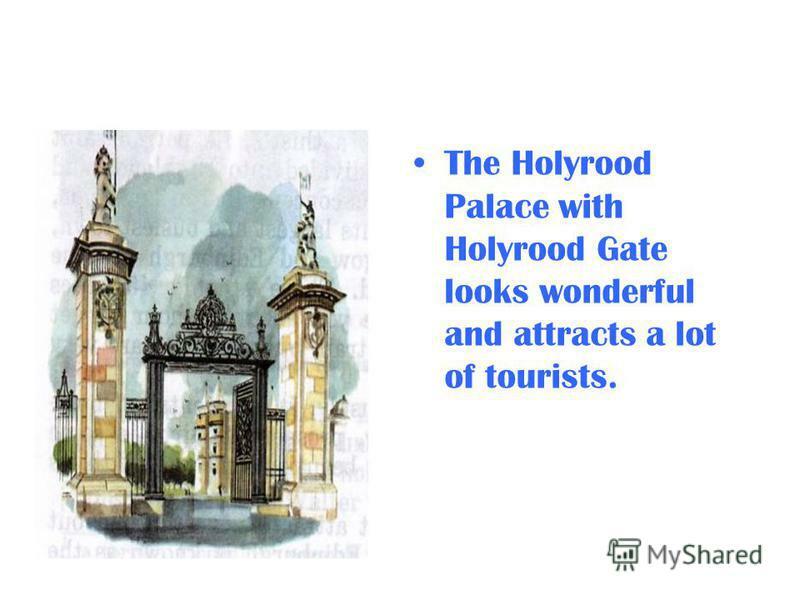 Password The theme of the lesson: Scotland, the beautiful.
. Lying off the north-west of Europe, there are two large Islands and over 5ooo smaller ones. 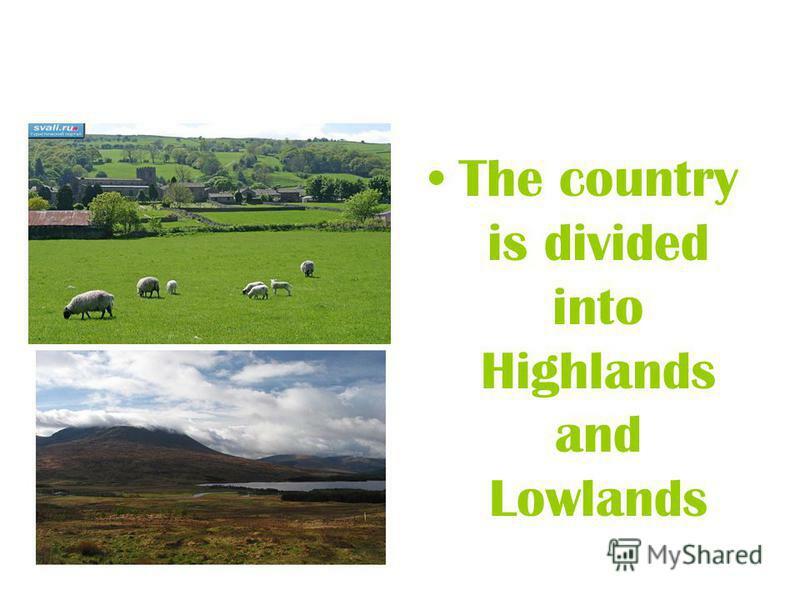 They are known as the British Isles. The two largest are.